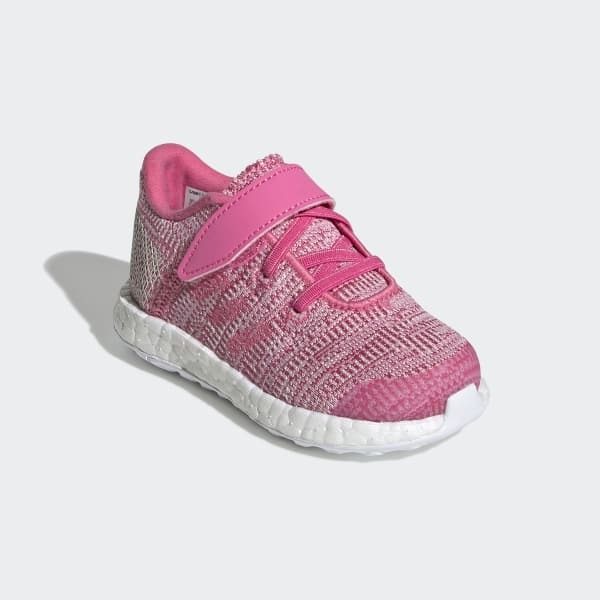 Knit shoes with comfortable cushioning for the littlest athletes. 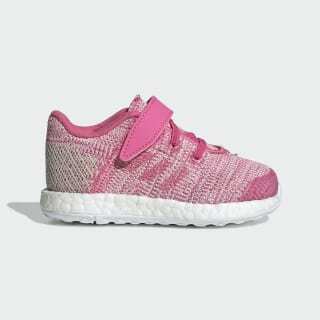 Your future marathoner can practice their strides in these infants' shoes. They have a lightweight knit upper that hugs and supports the foot. A hook-and-loop strap over elastic laces gives them a secure fit. Responsive cushioning offers a comfy feel.